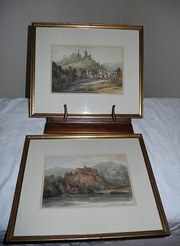 E.A Fraser pair of Watercolours Librnik Castle The Rhine ,can be sold as a pair or separate. Charles Leslie 1835 - 1890. Scottish Sea Loch & mountain Scene. 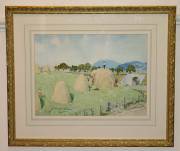 Charles Leslie british born artist. He studied at The Royal Acadamy in London and exhibited there. His oil paintings are offered for sale at sums of thousands of pounds. 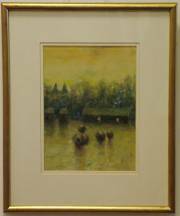 Watercolour of "Loch of Strathbeg" by local artist Edward Malcolm of Peterhead.